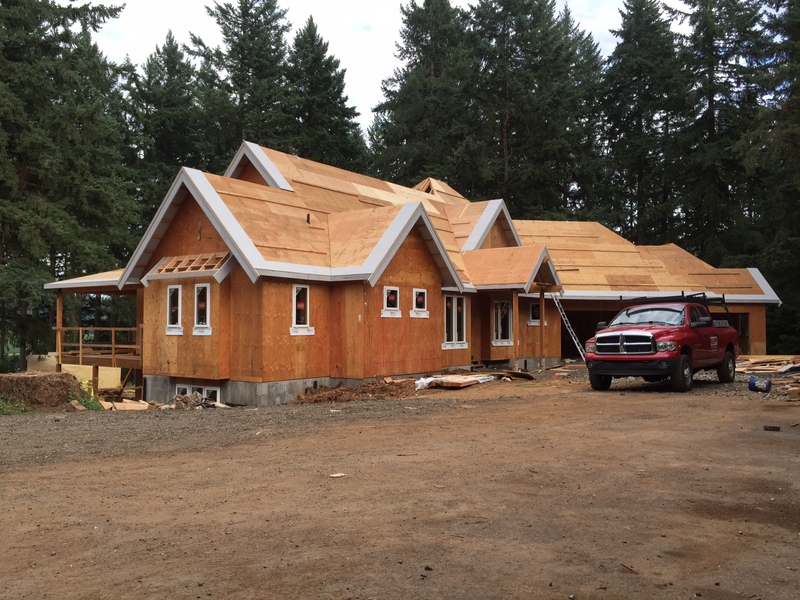 We’ve got some progress to share on the Wilsonville new home building project we’ve been working on this year. 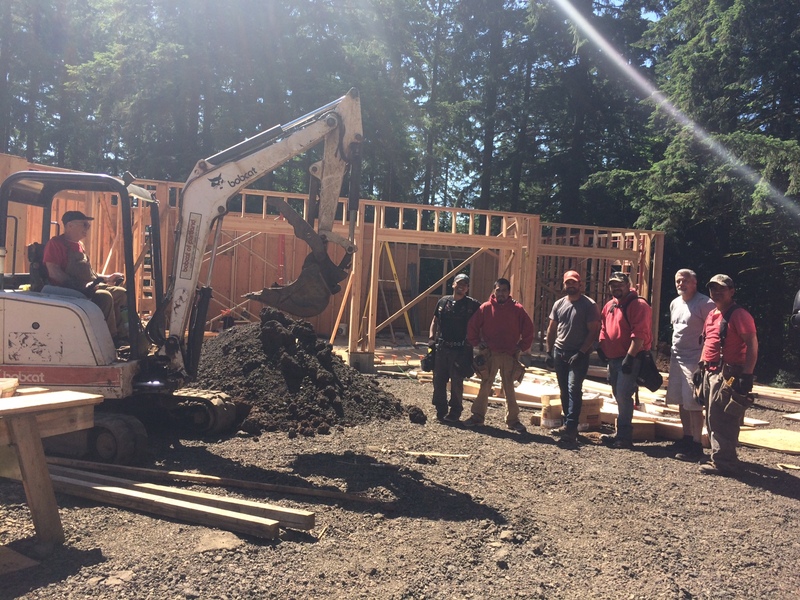 The guys have been doing a a great job of making sure the home is being built to high quality standards for our clients! We’re getting that roof up just in time for the rainy season to hit — although the guys would have liked some more shade during the recent heat wave. 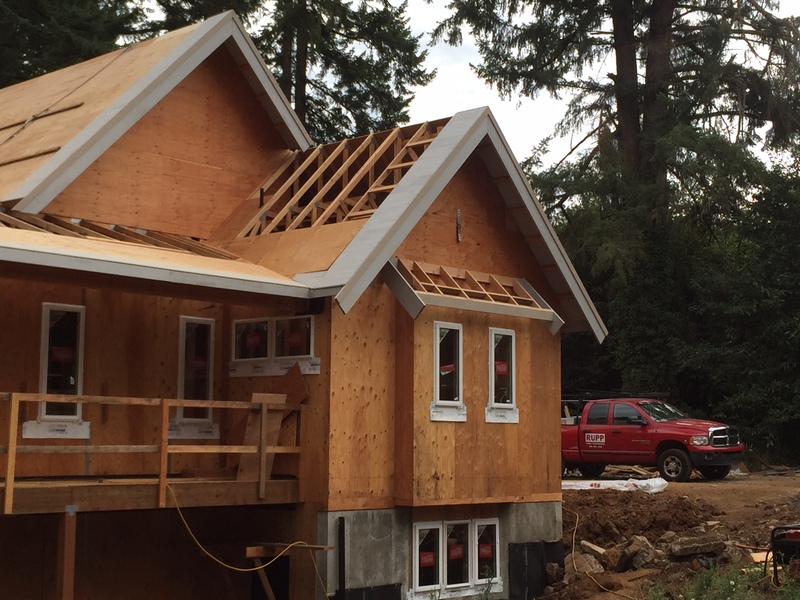 We have some upgraded windows in place, a key part of the overall home energy efficiency. Not to mention, all those trees surrounding the house will provide some additional shade, as the local wildlife ‘neighbors’ know.